Reduced!A unique ten-lot oceanfront gated private community in Sunset Beach offers seclusion and unsurpassed quality views. This almost two-acre lot near the entrance offers the opportunity to position a large custom home offering 280-degree ocean and water views of the Atlantic Ocean, Tubbs Inlet, Jinks Creek and marsh areas. An extra advantage is this is the only lot that has its own private dock on Jinks Creek. 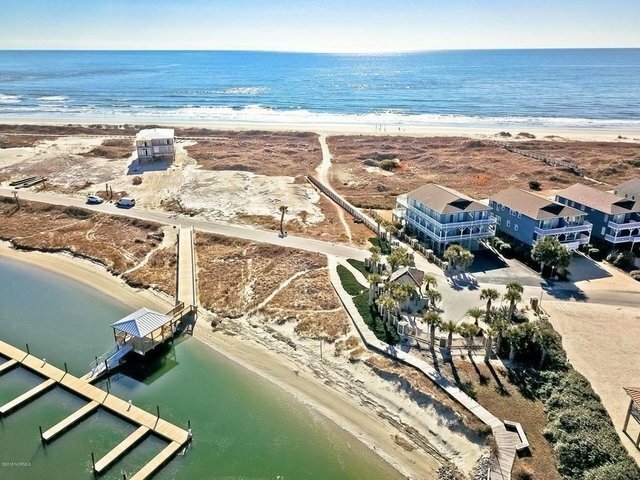 No time frame to build and choose your own builder.Where in the Carolinas can this size oceanfront lot be found? The beauty and nature that surrounds you is awe inspiring! Easiest beach access and wonderful dunes, plus a swimming pool can be permitted. Enjoy one of the 21 Best Beaches in the world according to National Geographic 2017 and one of the most romantic and family oriented.